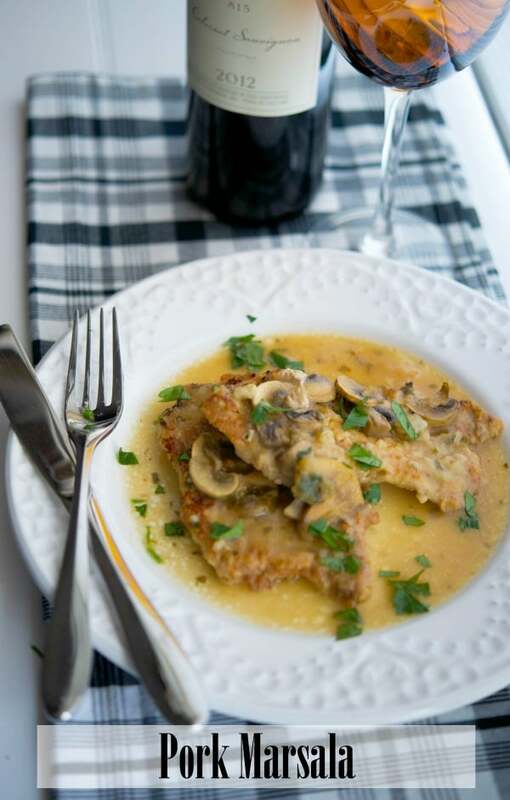 Pork Marsala made with thin, center cut pork loin in a mushroom, Marsala wine sauce is easy enough to make during the week or can be made in larger quantities for larger get togethers. It’s been so long (I’m talking at least 3 years) since I had Chicken Marsala. It’s one of those dishes where I never order it out because I can make it at home. Besides, going out to dinner gives me the ability to try and discover new dishes. 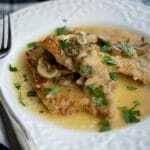 So I recently decided to make this dish at home, but this time I made Pork Marsala instead. For the most part, anything you can make as a chicken dish, can also be made with pork, it’s pretty versatile; especially if you use the center cut boneless pork loin like I do. I also try to save some money by slicing my own cutlets out of whole pork loin roasts. In general, it costs less to purchase a roast, than to buy the pork chops or pork cutlets already sliced; especially when making larger quantities like this meal which serves eight people (or enough for two meals in my household). 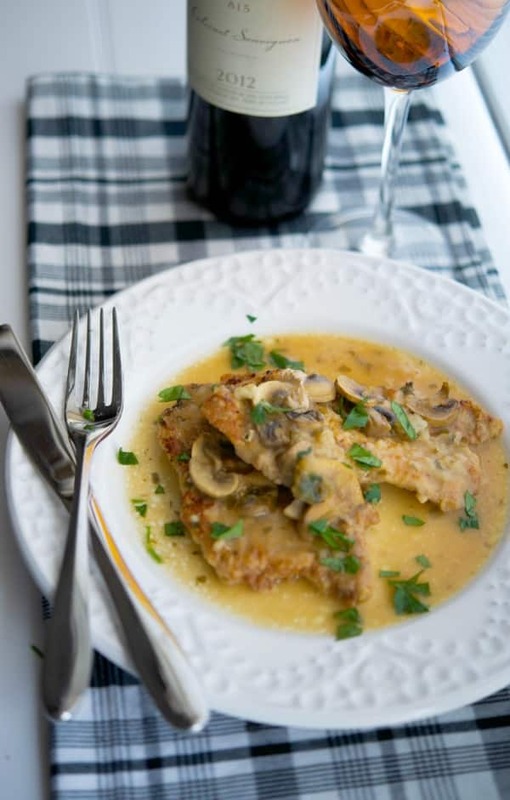 Though this recipe is a little more time consuming than other recipes, this Pork Marsala dish was well worth the extra effort. I just love the flavor of wine and mushrooms together. 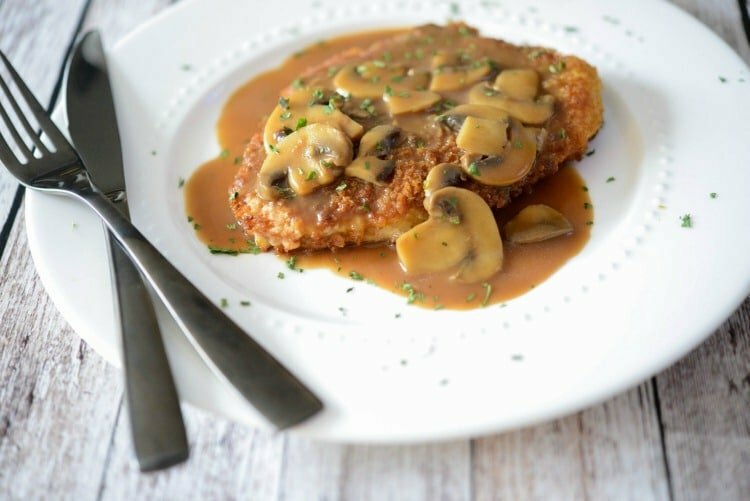 I served ours with a side of brown rice (perfect with all of that extra marsala sauce!) and carrots. 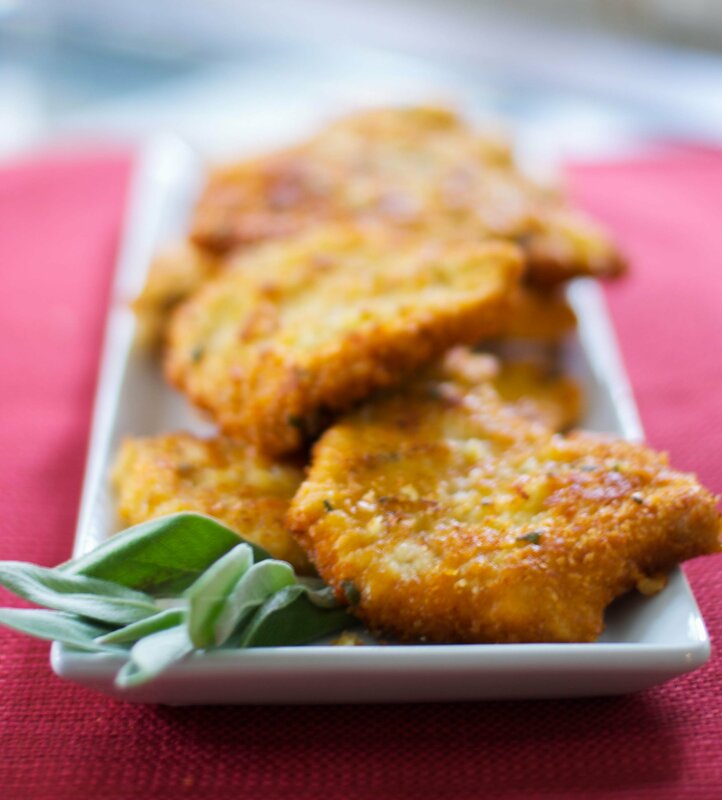 This dish also makes a wonderful dish for Sunder supper, freezes beautifully and would make a great buffet entree for graduation parties or holiday get togethers. ~Enjoy! Heat the oil and 2 tbsp. butter in a large, nonstick saute pan over medium heat. 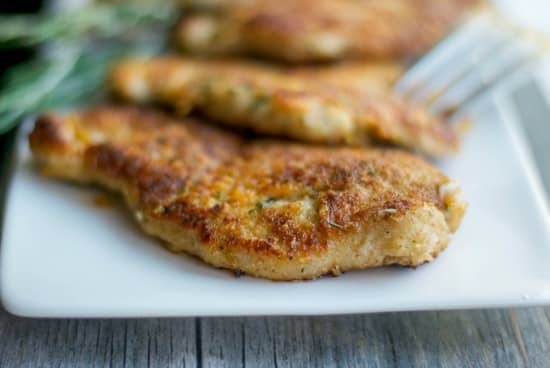 Add 1 cup of flour to a bowl, dredge the pork cutlets in the flour; then add the pork to your heated pan. Allow to brown 2-3 minutes per side. Remove the pork when cooked through and place in an oven safe baking dish (I used a 13"x9". It's alright if the pieces slightly overlap). Repeat until all pieces of pork have been cooked. In a separate saucepan, melt the remaining 1 tbsp. of butter over medium heat and add the mushrooms. Saute until the mushrooms start to soften; approximately 4-5 minutes; then whisk in the remaining 2 tbsp. flour to form a roux. Add the marsala wine, chicken broth and parsley; mix well. Season with salt and pepper to your liking. 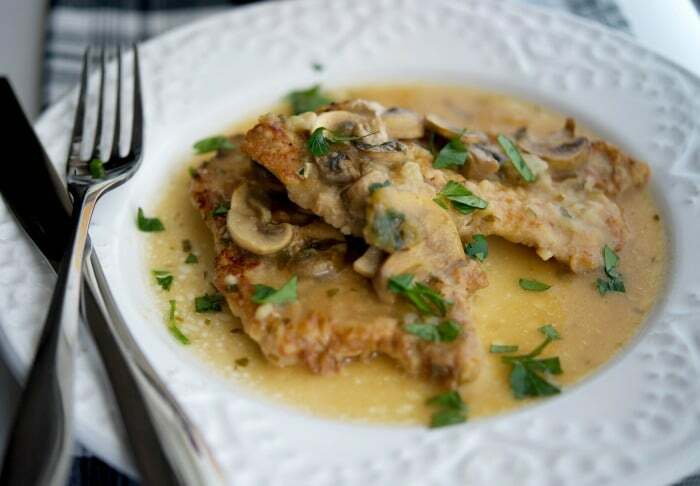 Allow to simmer 3-5 minutes until it is slightly thickened; then pour over your browned pork cutlets. Bake for 15-20 minutes until the sauce is hot and bubbly. Perfect for gatherings. Thank you very much !